We call them craters, but they are not craters. They resemble volcanic craters, but they are not the products of volcanoes. 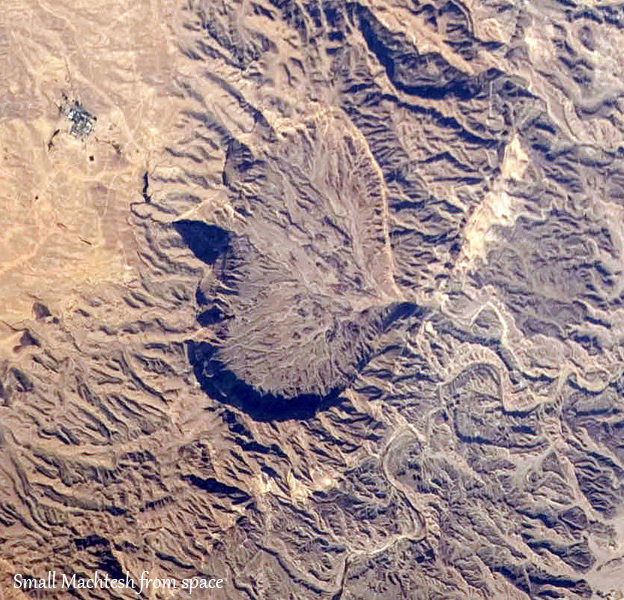 The Machteshim are unique phenomena, so unique that these landforms appear nowhere else in the world. So, what is a machtesh? Machtesh is the Hebrew word for pestle and, indeed, all of the machteshim look like huge pestles. We have three well-known machteshim in different sizes: the Small Machtesh has a length of 8 km (5 mi. ), the Big Machtesh is 14 km (8.5 mi.) 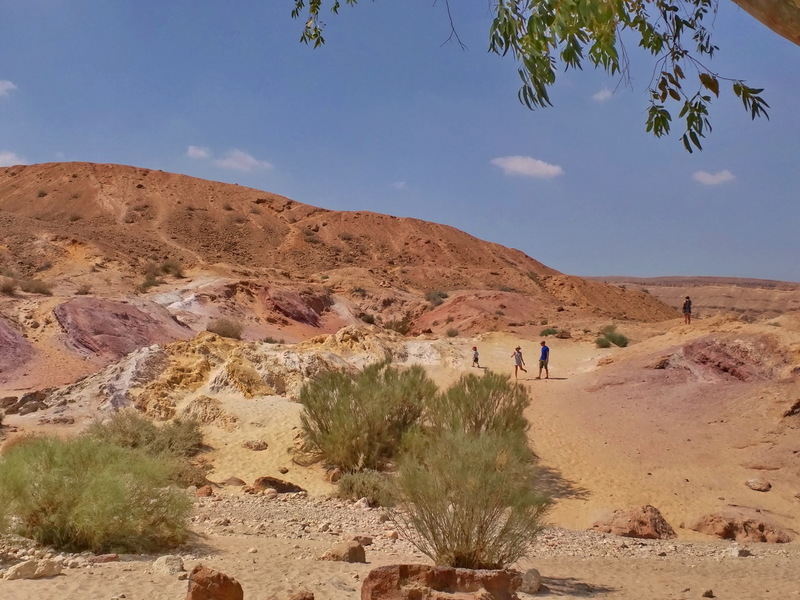 long, and Machtesh Ramon is 37 km (23.5 mi.) long. Within all of them, the surrounding walls rise to significant heights. 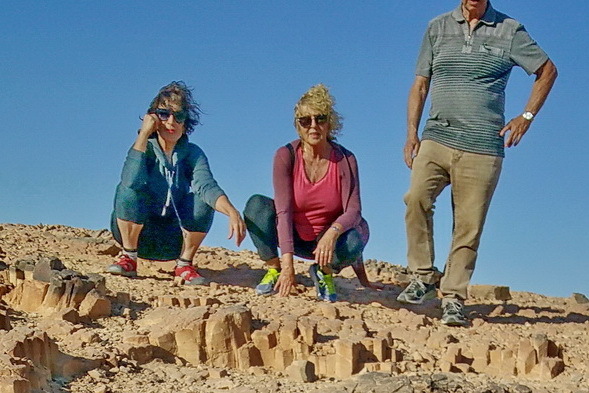 If you want to travel from the peak to the bottom of a machtesh, the only ways are via a steep, winding road or by a hiking trail (in the Small Machtesh – only by trail). Tens of millions of years ago, when the entire area was covered by the Thetis Ocean, three parallel ridges started rising up, pushed by tectonic forces. As they were pushed up, their sharp peaks cracked open and ocean water rushed to fill the cracks, going deep, and sweeping the soft sandstone up from under the hard limestone cover. Eventually, this roof collapsed, leaving a bowl shaped “crater”. 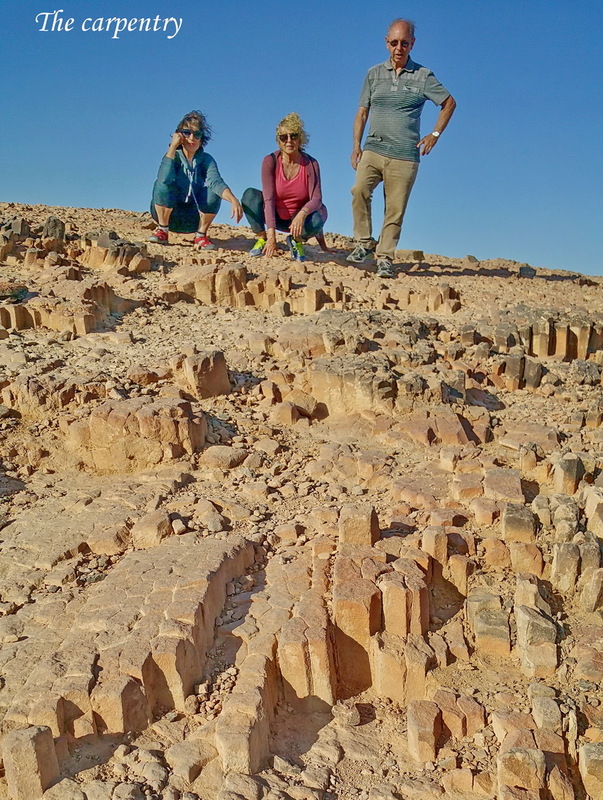 In the Small Machtesh, we usually hike to its edge, and enjoy the amazing view. One can also hike through the machtesh. 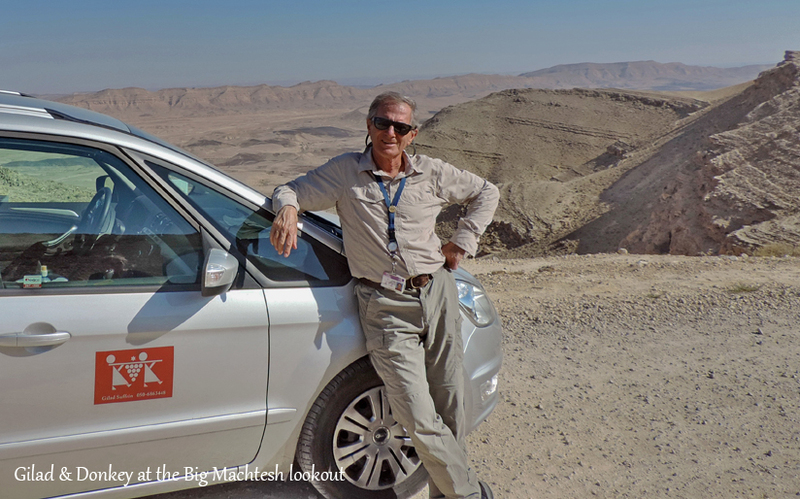 In the Big Machtesh, we can take in the view from the closest mountain, then drive into it and stop and admire the colorful sands. 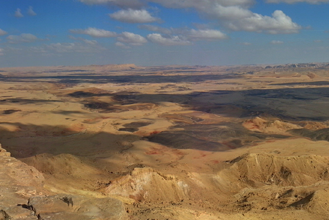 There is also the option to take a more rigorous hike on the rib-like ridge or an easy hike in the nearby Ein Yorke’am. Go through the beautiful Visitor Center. Drive down and hike in the “Carpentry” and in the Ardon Brook. 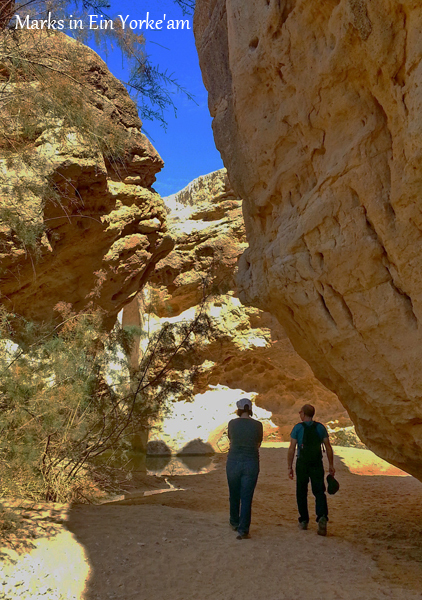 Take a jeep tour to see a canyon and a wall with Ammonite fossil shells. We can also visit the Saharonim Spring and Fort.